Below is an insider’s perspective of Portugal’s “Green” madness from EcoTretas. With ALL the NOW so well-known and typical ingredients from this Global Warming Hysteria. Read, and be truly horrified over how our “intelligent” politicians on purpose are committing economic hara-kiri (Seppuku) for “our” countries. And, as I have sad on many occasions, it is we the common people who have to pay the gigantic price for this madness. Many of my international readers should know that Portugalis seeking a rescue package. The reason for the bailout? Strange as it may seem: a green economy that has gotten dark, so much darker… Portugalwill be the ONLY country in the World, according to the IMF (check out Table 2.2), that will have a GDP negative growth in 2012! 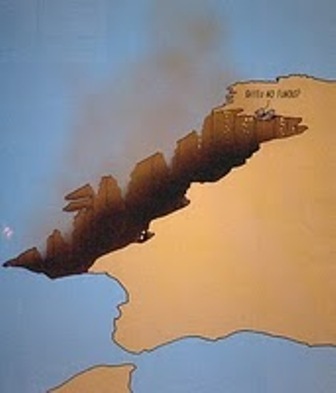 José Sócrates, Environment Minister between 1999 and 2002, and Prime Minister since 2005, is the person behind this tragedy. His green vision has brought Portugal some recognition amongst greenies, but mainly a dark future! Wind power has been a big bet. Big promises included green jobs, but the truth is that they are only a few thousands… The reality is that the more the wind blows, the poorer we get. This is true because wind feed-in tariffs are much higher than energy prices in the spot market. With such a high share of wind energy, dam construction has started, so that they can be used for energy storage. A double cost, which would not be needed, if wind energy was not so big. But it doesn’t stop here: gas power stations had to be paid for being in standby, rising even more the indirect costs of wind power. Gasoline and Diesel also have very high prices in Portugal, amongst the biggest in the World. The reason: multiple taxes and subsidies paid at the gas pump. All this has a great impact on the Economy, and is the main reason behind fuel tourism to Spain, where prices are much lower. In fact, they are so much lower, that near the border, people drive 50Km or more just to fill the tank! Lately, things have gotten even worse. Sócrates is pushing for electric cars, but nothing in those cars is being made in Portugal. Once again, we are effectively paying for R&D being made somewhere else, without any advantage for the country. Despite being one of the countries with the highest lithium reserves in the World, no value is added in Portugal. Portugal also has some well proven gas reserves. Despite that, they are not being explored, with tourism fears being invoked. My view is that Sócrates wouldn’t go this way, as it is not green… And despite potential shale gas reserves being pointed out, no one talks about it in Portugal! I have written extensively about the economical and environmental madness of wind power on a large scale. Wind power can be excellent on a small scale IF you live in the right areas. They really want us back to the Stone Age to “reduce” our “carbon footprint”. And how long do you think the people and the modern societies would survive WITHOUT electricity? And what kind of life that would be? ‘Era of constant electricity at home is ending, says power chief. What a brilliant future the Global Warming Hysterics have in store for humankind. And remember they have publicly said and written that they would like to halve, or even cut in two thirds, the world population. Well, wind power is on way of getting about it. These people are so caring are they not? And they REALLY love humankind. “The economic candle in the U.K. is being blown out by wind power. The Verso study finds that after the annual diversion of some 330 million British pounds from the rest of the U.K. economy, the result has been the destruction of 3.7 jobs for every “green” job created. The study concludes that the “policy to promote renewable energy in the U.K. has an opportunity cost of 10,000 direct jobs in 2009-10 and 1,200 jobs in Scotland.” So British taxpayers, as is the case here in the U.S., are being forced to subsidize a net loss of jobs in a struggling economy. Again, it’s been shown that wind energy can’t hold a candle to other more traditional and more reliable forms of energy. “The study concludes that the ”policy to promote renewable energy in the UK has an opportunity cost of 10,000 direct jobs in 2009-10 and 1,200 jobs in Scotland”. So British taxpayers, as is the case in the US, are being forced to subsidise a net loss of jobs in a struggling economy. “Scarcely a day goes by without more evidence to show why the Government’s obsession with wind turbines, now at the centre of our national energy policy, is one of the greatest political blunders of our time. Under a target agreed with the EU, Britain is committed within ten years — at astronomic expense — to generating nearly a third of its electricity from renewable sources, mainly through building thousands more wind turbines. But the penny is finally dropping for almost everyone — except our politicians — that to rely on windmills to keep our lights on is a colossal and very dangerous act of self-deception. Take, for example, the 350ft monstrosity familiar to millions of motorists who drive past as it sluggishly revolves above the M4 outside Reading. This wind turbine performed so poorly (working at only 15 per cent of its capacity) that the £130,000 government subsidy given to its owners was more than the £100,000 worth of electricity it produced last year. Meanwhile, official figures have confirmed that during those freezing, windless weeks around Christmas, when electricity demand was at record levels, the contribution made by Britain’s 3,500 turbines was minuscule. To keep our homes warm we were having to import vast amounts of power from nuclear reactors in France. Wind turbines are so expensive that Holland recently became the first country in Europe to abandon its EU renewable energy target, announcing that it is to slash its annual subsidy by billions of euros. “The first is the pretence that turbines are anything other than ludicrously inefficient. The most glaring dishonesty peddled by the wind industry — and echoed by gullible politicians — is vastly to exaggerate the output of turbines by deliberately talking about them only in terms of their ‘capacity’, as if this was what they actually produce. 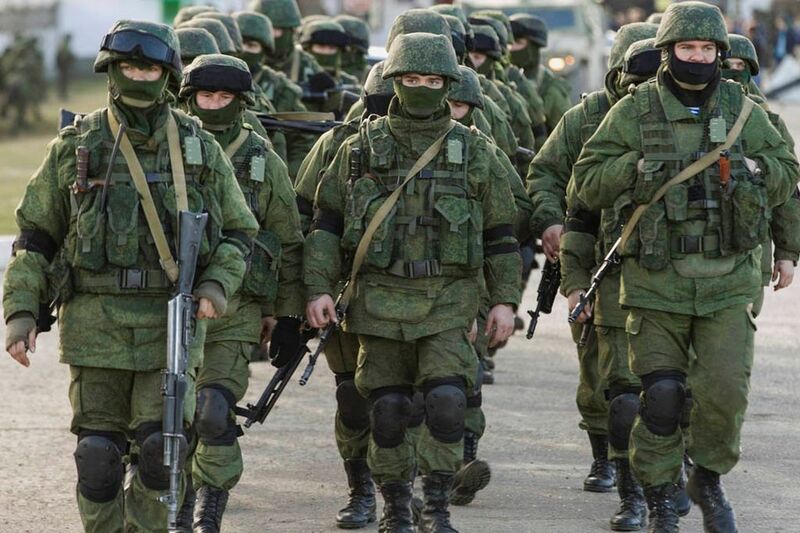 Rather, it is the total amount of power they have the capability of producing. The point about wind, of course, is that it is constantly varying in speed, so that the output of turbines averages out at barely a quarter of their capacity. This means that the 1,000 megawatts all those 3,500 turbines sited around the country feed on average into the grid is derisory: no more than the output of a single, medium-sized conventional power station. “The second great lie about wind power is the pretence that it is not a preposterously expensive way to produce electricity. No one would dream of building wind turbines unless they were guaranteed a huge government subsidy. This comes in the form of the Renewables Obligation Certificate subsidy scheme, paid for through household bills, whereby owners of wind turbines earn an additional £49 for every ‘megawatt hour’ they produce, and twice that sum for offshore turbines. This is why so many people are now realising that the wind bonanza — almost entirely dominated in Britain by French, German, Spanish and other foreign-owned firms — is one of the greatest scams of our age. The third great lie is that this industry is somehow making a vital contribution to ‘saving the planet’ by cutting our emissions of CO2 – it is not What other industry gets a public subsidy equivalent to 100 or even 200 per cent of the value of what it produces? We may not be aware of just how much we are pouring into the pockets of the wind developers, because our bills hide this from us — but as ever more turbines are built, this could soon be adding hundreds of pounds a year to our bills. When a Swedish firm recently opened what is now the world’s largest offshore windfarm off the coast of Kent, at a cost of £800million, we were told that its ‘capacity’ was 300 megawatts, enough to provide ‘green’ power for tens of thousands of homes. “Britain is moving faster than any other European country to contain a surge in solar power and prevent the boom-and-bust seen in Spain and predicted for the Czech Republic. The risk is scaring off the investors who would create the “green jobs” Prime Minister David Cameron is seeking to revive the economy. “It was probably the huge subsidy allocated to a 600 MW offshore wind park by the previous government that induced the new Dutch cabinet to make some drastic changes in the existing subsidy scheme for renewable energy. In May 2010, the previous government announced that the German wind power developer Bard Engineering will receive a whopping (maximum) subsidy of €4.5 billion from the Dutch taxpayer to build two 300 MW offshore wind parks off the country’s northern coast. The new right-wing government, a coalition of the liberal party VVD and the Christian-Democrats CDA, supported by the anti-islam party PVV, decided they would not make the same mistake. During the election campaign, the new Prime Minister, Mark Rutte of the Liberals, had been cynical about the large government support for wind power. ‘Windmills turn on subsidies’, he had said. “A $200-million wind farm in northern New Brunswick is frozen solid, cutting off a potential supply of renewable energy for NB Power. Why Wind Won’t Work -The social and economic impacts of rural wind farms. 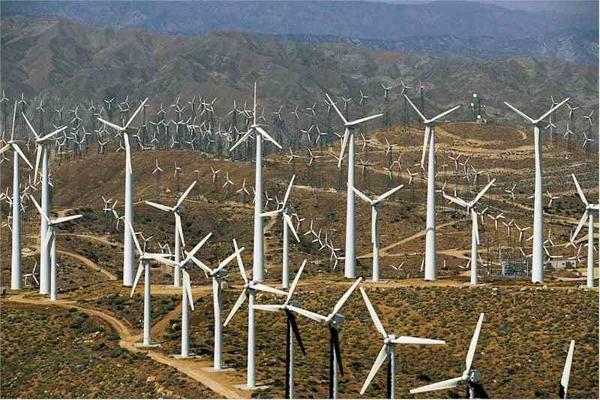 “Wind power is very dilute, and thus a large area of land is required to gather significant energy. Wind energy needs a wide network of roads, transmission lines and turbines which degrades any area containing wind farms. It has a huge land footprint. 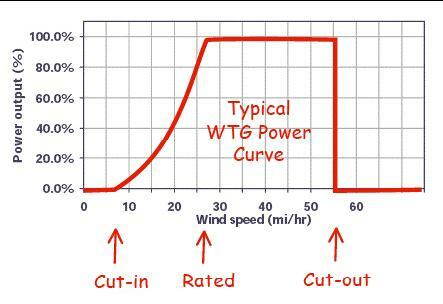 The operating characteristics of turbine and generator mean that only a small part of wind energy can be captured. Wind power is also intermittent, unreliable and hard to predict. Therefore large backup or storage systems are required. This adds to the capital and operating costs and increases the instability of the network. Wind farms are uniformly hated by neighbours and will not be willingly accepted without heavy compensation payments. Their noise, flicker, fire risk and disturbing effect on domestic and wild animals are well documented. “The blades can only extract part of the energy, thus slowing down the wind in the process. The maximum proportion of the energy that can be extracted by a perfect propeller in a perfect wind is given by the Betz limit and that limit is about 59%. This is referred to as the Power Co-efficient. In the real world the very best turbines in an ideal wind could maybe peak at about 50%. Most large wind turbines built today have a Power Coefficient (PC) of no more than 37%. If the wind speed is higher or lower than ideal, the PC will be lower. If the wind blows too fast, much kinetic energy slips between the blades and is lost. And in very high winds, the turbines are shut down completely so they do not shake themselves to bits. 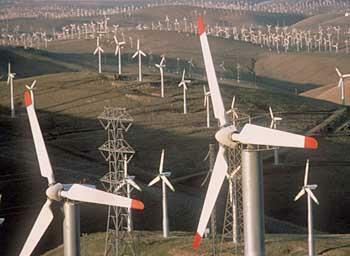 But that is not the end of the weaknesses of wind power generation. The spinning turbine has to be converted into electrical energy at each turbine. This is done using an electric generator. Electrical generators have been used for over 100 years so their technology is mature and their performance well known. “In percentage terms, how much electricity do Britain’s 3,150 wind ­turbines supply to the ­National Grid? Is it: a) five per cent; b) ten per cent; or c) 20 per cent? Come on, I’m going to have to hurry you. No conferring. Time’s up. The correct answer is: none of the above. Yesterday afternoon, the figure was just 1.6 per cent, according to the official website of the wholesale electricity market. Over the past three weeks, with demand for power at record levels because of the freezing weather, there have been days when the contribution of our forests of wind turbines has been precisely nothing. It gets better. As the temperature has plummeted, the turbines have had to be heated to prevent them seizing up. Consequently, they have been consuming more electricity than they generate. Even on a good day they rarely work above a quarter of their theoretical capacity. And in high winds they have to be switched off altogether to prevent damage. “WIND power should not be relied on to guarantee electricity supply during hot days, experts say. Wind turbines operate at less than three per cent of their total generation in hot weather because limits to prevent overheating and a lack of wind can stifle their output when temperatures soar past 35C. The State Government and the Australian Energy Market Operator yesterday revealed there would be enough electricity in SA today to meet demand and loadshedding and blackouts would not occur from a lack of power. However, AEMO statistics show the amount of electricity generated by wind turbines in hot weather falls to a bare minimum. This one is 3 years old but an actual and interesting example of the consequences of the unreliability of wind power when most needed. HOUSTON (Reuters) – A drop in wind generation late on Tuesday, coupled with colder weather, triggered an electric emergency that caused the Texas grid operator to cut service to some large customers, the grid agency said on Wednesday. Fire in the Sky – The bushfire threat from wind generators. “Despite high demand for electricity as people shivered at home over Christmas, most of the 3,000 wind turbines around Britain stood still due to a lack of wind. Even yesterday, when conditions were slightly breezier, wind farms generated just 1.8 per cent of the nation’s electricity — less than a third of usual levels. “Off shore wind farms cost twice as much to produce electricity as gas and coal powered stations and will need subsidies for at least 20 years, a major report warns. But costs of building the farms have doubled due to spiralling prices for steel and the drop in the value of the pound. The running costs are also increasing. “The report, from the UK Energy Research Centre – a Government funded academic think tank – said the costs of offshore wind power were underestimated in the mid-2000s. Instead of costs falling as predicted, in the last five years the cost of buying and installing turbines and towers at sea has gone up by 51 per cent. Once the bill for building and maintaining an offshore wind farm is spread over the 25-year lifespan of a typical farm, each kilowatt hour of electricity now costs 15p. 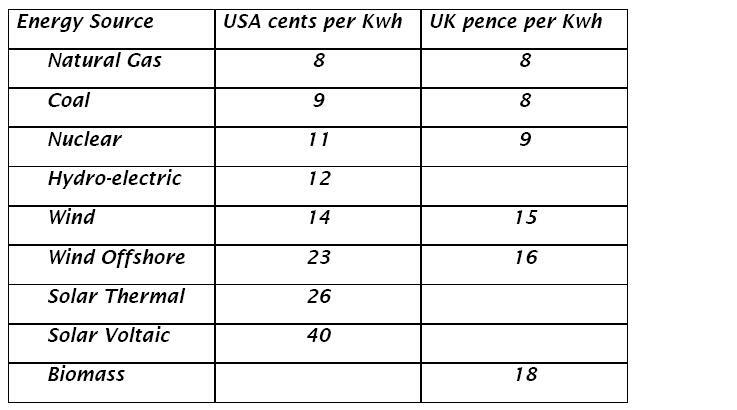 “The true cost of wind is likely to be much higher than the 15p a unit outlined in the report. “German lawmakers passed on Thursday a law cutting solar power subsidies by up to 15 percent from this summer, six months earlier than originally planned, dealing a blow to the world’s biggest photovoltaic market. ROME — The seizure of a record 1.5 billion euros from a Sicilian businessman known as ”Lord of the Wind” has put the spotlight on Mafia money-laundering through renewable energy ventures. ”The Mafia use clean energy to invest dirty money,” Sicilian journalist Lirio Abbate told AFP after police confiscated the assets from businessman Vito Nicastri on Tuesday. The haul included no fewer than 43 wind and solar energy companies and around 100 properties including swank villas with swimming pools in Sicily’s western Trapani region, along with cars, a catamaran and bank accounts, the interior ministry said.